Hands down, traveling > vacation. No planning, no such thing as “last minute.” We only plan as far as the campground for the next evening–nothing more than that–because flexibility is priceless. The real Jean in the office at a desk M-F, 8-5 could never possibly fathom the carefree spirit, but in this current lifestyle, to be carefree is a necessity. 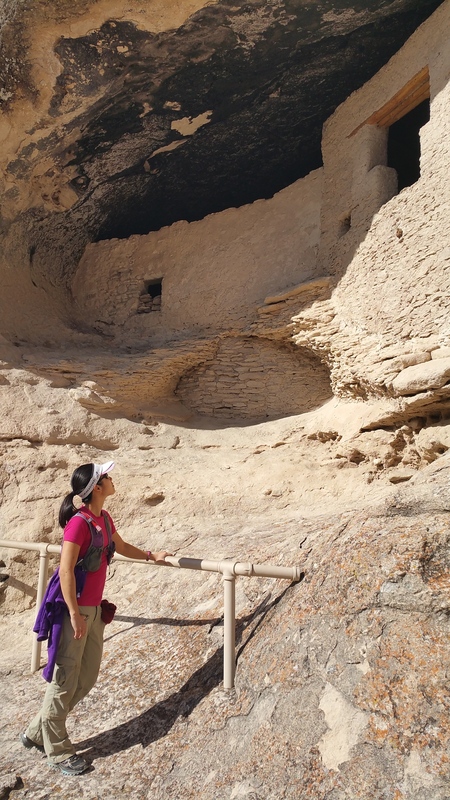 When I explained our road trip to the national park ranger at the Carlsbad Caverns Visitor Center, she handed me a pamphlet with information on all the New Mexican parks and monuments. 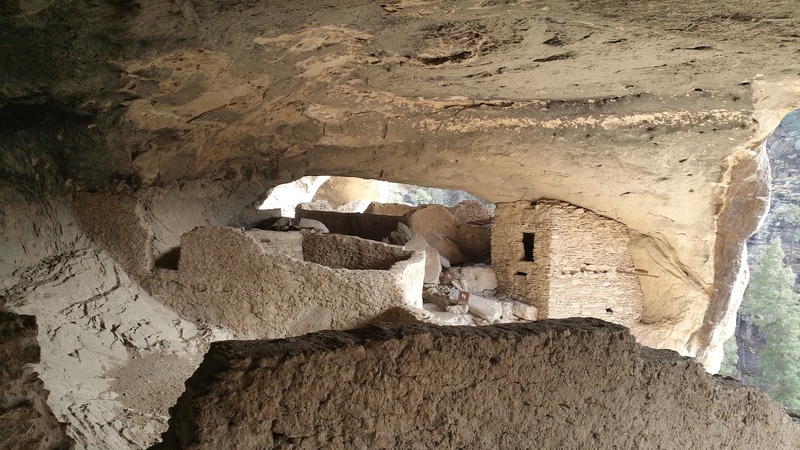 I had only heard of Carlsbad Caverns and White Sands National Monument in southern New Mexico, but the pamphlet introduced me to the Gila Cliff Dwellings. “Ooh, let’s go here!” I exclaimed, pointing at the photo in the pamphlet. 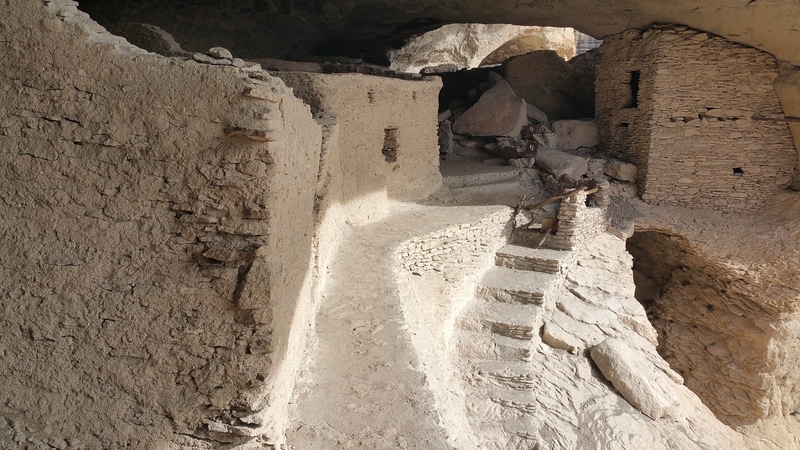 We couldn’t fit in Colorado’s famous Mesa Verde National Park in this trip, so I figured we should at the very least try to visit the smaller archeological preserve. And so off we went. We arrived early afternoon to the most deserted national park/monument I have ever seen. (And to our pleasant surprise, there was a free RV dump and potable water!) 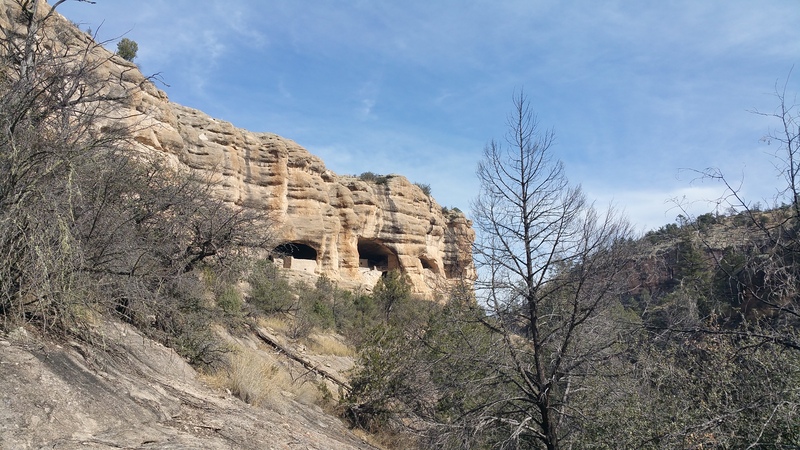 To get there, one must drive for about 1.5 hours through the windy roads up into the elevated forests of Gila National Forest. The drive was long but scenic and serene. 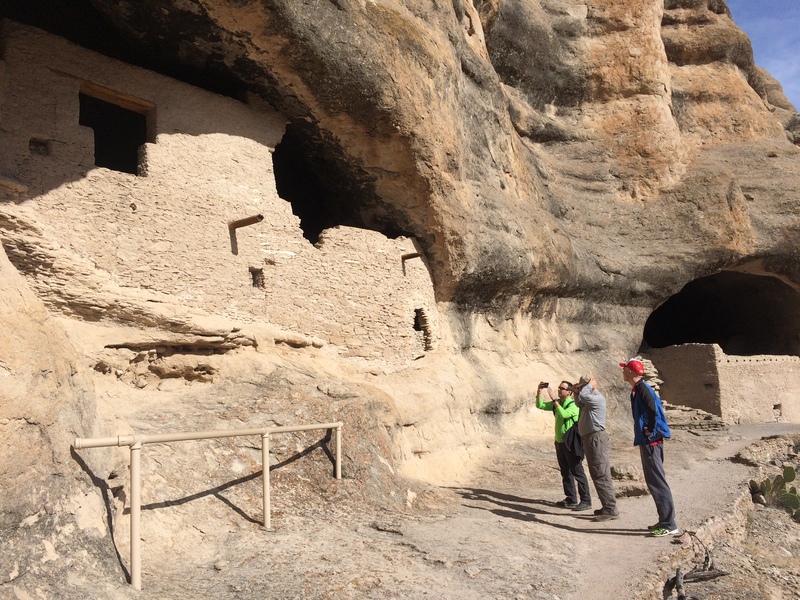 The roundtrip hike to and from the cliff dwellings was only a short mile but we still enjoyed the stroll through the forest and learning about the historic dwellings from 700 years ago. 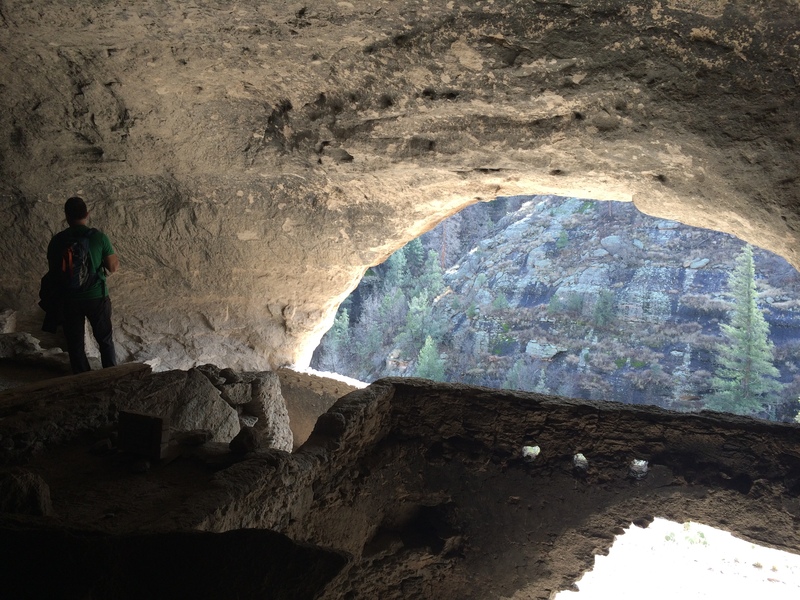 Volcanic activity some 28 million years ago formed the natural alcoves, but it wasn’t until the late 13th century when people began to inhabit them. 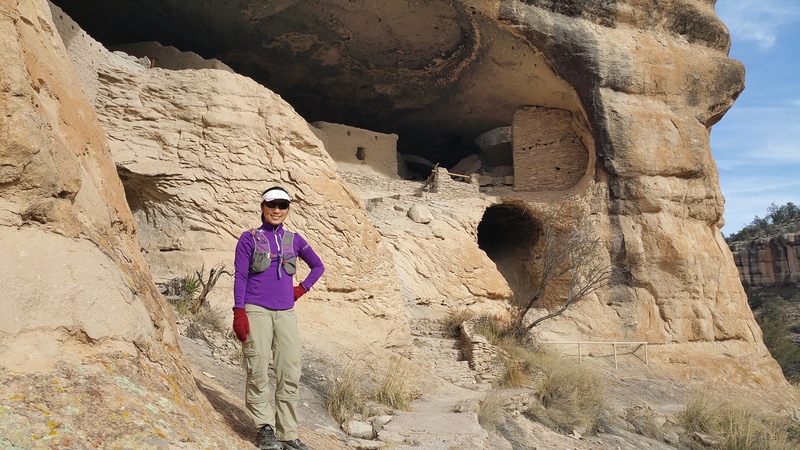 Between the short period of 1275 and 1300, the Mogollan people (Southwest Indians) built and resided in these dwellings. Why the people abandoned the dwellings is still a mystery today. 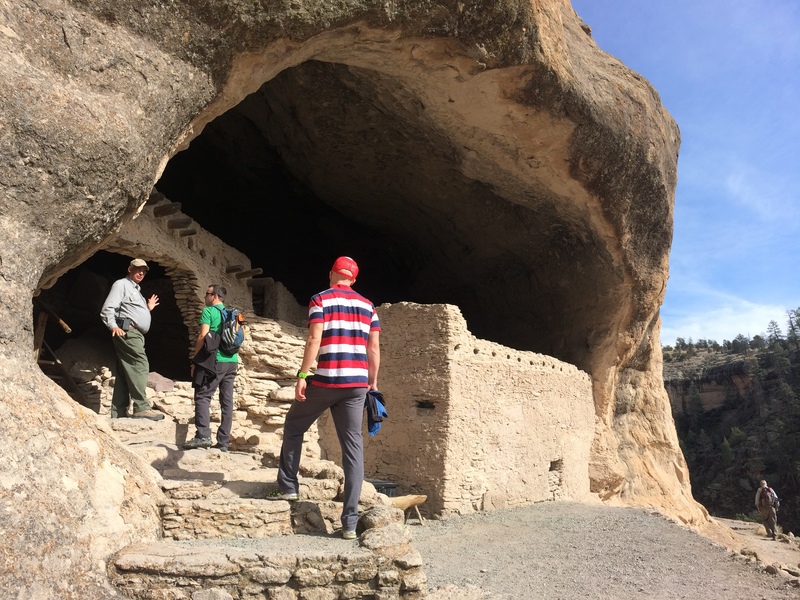 Our visit at the cliff dwellings was brief; the drive to and from the national monument took longer than the hike itself. 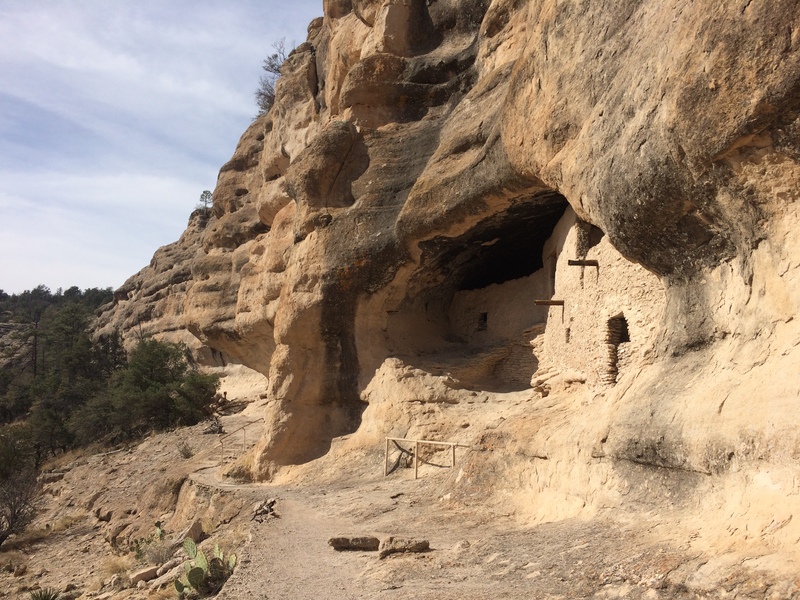 It was our final stop in New Mexico and our final national monument on this entire road trip before heading westward toward home. 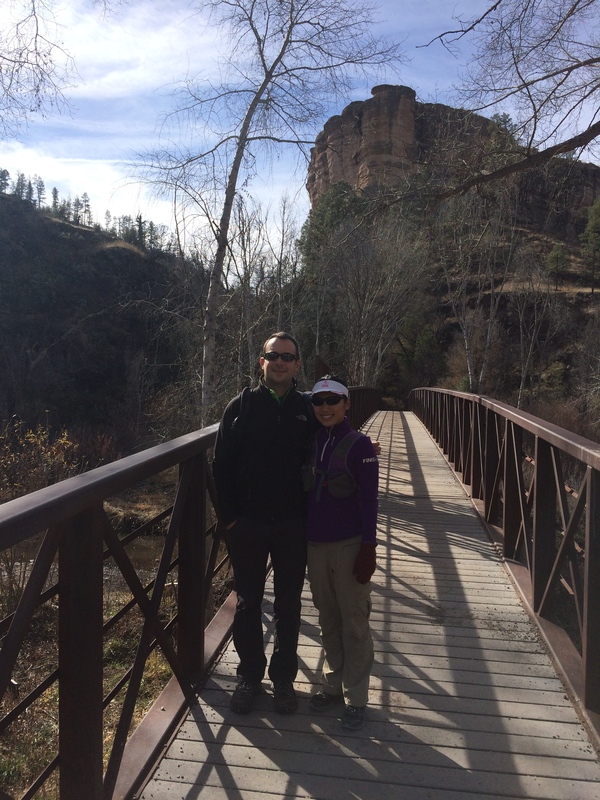 I’ve never been to New Mexico prior to this trip, and I will say that New Mexico’s weather in December is perfect for the outdoors. As we drove into the sun toward Phoenix, I contemplated my next visit to New Mexico but next time, the trip will include Albuquerque and Santa Fe.